Matmata is so great that it is about to become destroyed. 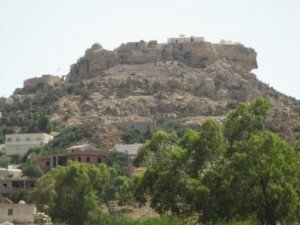 The town is a must-see for tourists to Tunisia and, from early morning till late afternoon, bus load after bus load arrive in this small village. Matmata’s fame comes from the unusual houses – instead of building the houses, they were dug vertically into the ground. Thanks to Matmata’s attractions and many tourists, what could have been atmosphere is since long gone. The locals are not friendly, and the ones who seem to be, act with your money in mind. When a family invites you in, prepare to buy handicrafts, or at least pay for each and every photo you make! But do not let this stop you, the trick of avoiding the thickest crowds is to spend the night in Matmata, and get up early. Until 9 am, Matmata is still tranquil, and not too hot. Due to it’s extraordinary form, Matmata was the location for the disco scene in the first Star Wars film. Before you leave for Tunisia, try to see the film first, then you go on to experience Matmata. The dark entrance to a troglodyte house. A simple version of a troglodyte. Except the chalk and the blue doors, it has no ornamentation. Each house forms a circular crater that is really the courtyard of a family. You can actually stand on the edge and look down on them – and that is what most tourists do today. Usually each crater is two stories deep, complete with doors, staircases and openings to nearby caves. But there are no windows. A fancier and more elaborated troglodyte. Note that the walls that have been covered in bricks and the vaulted doors. The Hotel Sidi Driss, which actually is easy to miss unless you search for it or have guide, was the location for the first Star Wars movie, and over again for the Attack of the Clones. The owners have taken good care of the set props, of course because there is money to make from it. In reality, Matmata may be the only place in Tunisia, where a hotel is the main attraction. But things are not all that perfect, the atmosphere is slightly on the bad side. The staff was so used to only dealing with Western tourists, that when I came by, presenting myself as journalist and asking a few questions, I was asked to pay for the information. Hmmm. Unfortunately this is the stage that Matmata is presently passing through, where the discovery of that the less you squeeze the tourist the more money you make is still in the future. But also, this region is unfortunately never mentioned when Tunisians talk about which Tunisians are the most friendly. The least starwarsy hole of the five that make up the Hotel Sidi Driss. Entrance to one of the rooms in the most authentic troglodyte hotel in Matmata. It is quite possible to enter many of the houses. After you have walked down the dark passageway, you arrive in the courtyard – often strikingly white, and quite remote from any cave-feeling. The decorations are about as simple and basic as you would expect, but always with a great understanding of artistry. Watch out for the vaulting of the ceilings, the round shelves cut directly into the walls, and the effective use of strong colours together with the chalked walls. Storage room for food and shelves cut directly into the walls. Original food containers, with olives lying to the left. Typical Matmata bedroom. With everything you need. The landscape of Matmata is quite nice, with a couple of small table top mountains around it. Many areas appears to have been tested for creating new troglodytes, as they are unusually bumpy. Matmata is the place to stay the night, and you should aim for one of the hotels where you can spend the night in a real troglodyte. 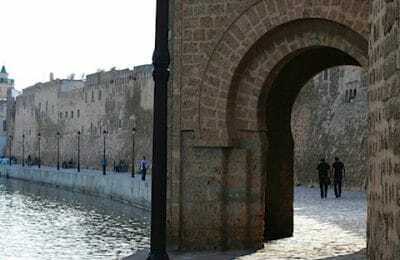 Sidi Driss is the location of the Star Wars movies, but Marhala is a much friendlier place. One thing is to visit troglodytes during the day, another thing is to sleep in one, and wake up in it. The standard is basic, but no worse than what most Tunisia explorers easily could accept. The shared baths and toilets might be the biggest problem for some. Matmata has a handful of more expensive options too. While these are good hotels, they are devoid of the natural charm of the ones mentioned above. You eat your food in one of the hotels. In this case, going to the good hotels is the better choice. The reason is that the troglodyte hotels are basic in their cooking too. Not bad or unhealthy, just unexciting. The better hotels will change money, but they are not obliged to do this for non-residents. 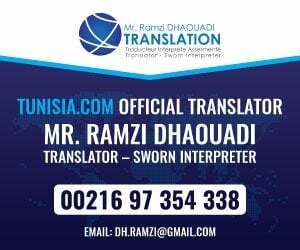 If you should find yourself stranded without Tunisian dinars, some friendly convincing will make the receptionist help you out. Early afternoon is the quiet part of the day, and also the time when they have best chances of giving such extra service. Basic buses run between Matmata and Gabes. These are crampy and can be very uncomfortable in the middle of the day when the sun is hot. There are some shared taxis, but not many, doing the same stretch. Summer is very, very hot in Matmata. If you’re not going with a tour group, try to explore Matmata in the early morning hours. Then the village is almost empty from other travellers and the morning sun light gives the troglodytes a dramatic appearance, which is lost through most of the day.